This volume pays homage to the wonderful teams and players from Azusa, La Verne, Claremont, Pomona, Chino, Cucamonga, Ontario, and Upland. A common thread of all these diverse communities was the establishment of baseball teams and, later, softball teams. Baseball played a critical role in advancing civil and political rights, labor reform, gender equality, educational integration, and cultural legitimacy. 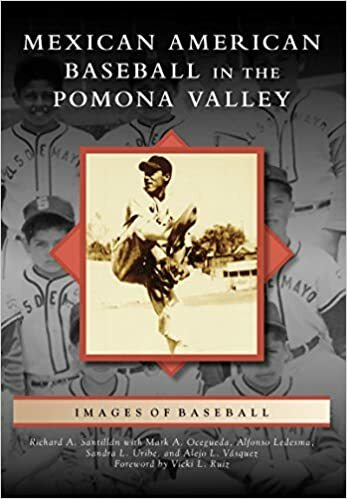 These remarkable photographs revive the often-overlooked history of Mexican American baseball in the Greater Pomona Valley. (Courtesy of Cuno and Karla Barragán.) Jess Briones from Chino, California, joined the US Army in 1944 and completed his basic training at Fort Roberts in California. He was about to be shipped out to the Philippines when Japan surrendered. He later served in Japan, France, and Germany. He played for several teams, including the 503rd in the Philippines, the 508th in Germany, and the 325th and 504th in North Carolina. He played shortstop and outfield for the Fort Bragg All-American team.